You can get good protection for much less money as you’ll see in this write-up. Helmet: This is a very important item to get right because a head injury will change your life drastically. What you’re looking for is a full face helmet that is minimum DOT approved and better yet SNELL approved. A sticker on the back will tell you whether it is or not. Full face helmets offer the most protection, two the eight times better than any other style. What’s your face worth to you? Pants: Many people just wear jeans, but in a slide regular denim wears away in no time and people are exposed to very painful road rash. 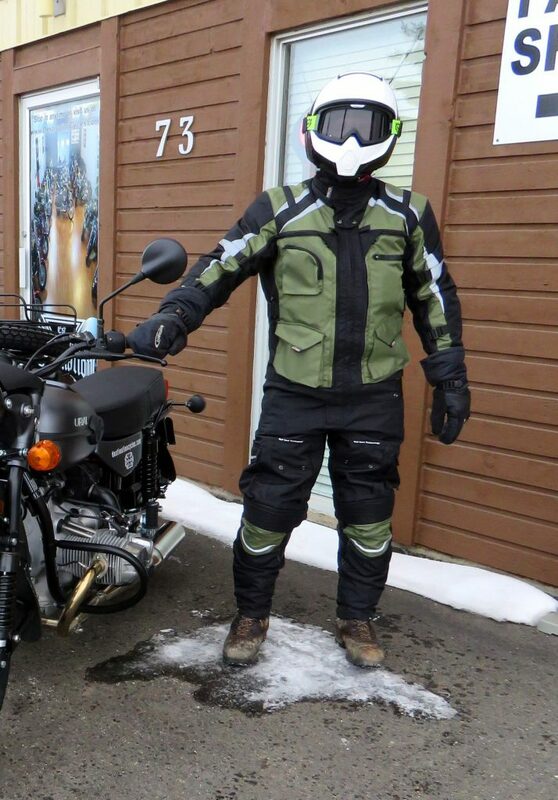 Leather and Nylon motorcycle pants are readily available, as are kevlar reinforced motorcycle jeans. Gloves: You can use regular leather work gloves on a bike, but there are better-suited motorcycling ones on the market that are worth spending extra on.